Like it or not, we live in a wired world – so why not start teaching tots the basics of technology from a young age? 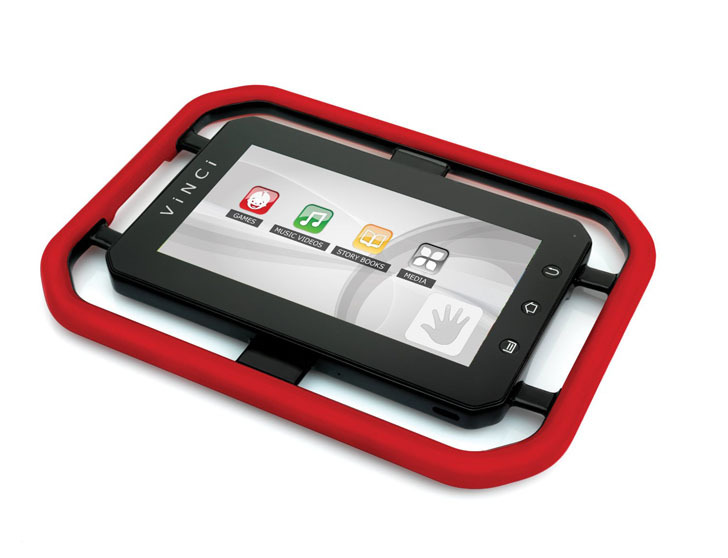 Enter the Vinci, a 7-inch tablet computer designed especially for babies. The easily-grippable device is protected by a soft, rounded corners, it’s made from non-toxic materials, and it comes programmed with kid-approved games, music videos, and storybooks. What’s next – the first social network for babies? Like it or not, we live in a wired world - so why not start teaching tots the basics of technology from a young age? Enter the Vinci, a 7-inch tablet computer designed especially for babies. The easily-grippable device is protected by a soft, rounded corners, it's made from non-toxic materials, and it comes programmed with kid-approved games, music videos, and storybooks. What's next - the first social network for babies?